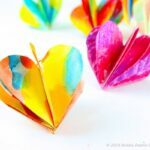 Oh it is time for some more lovely Heart Crafts today!!! 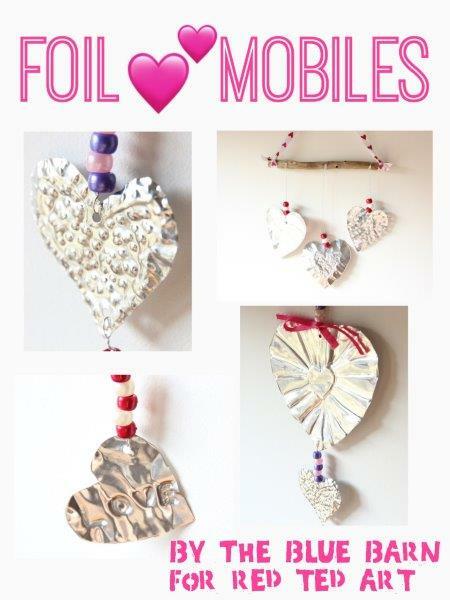 Have a go at these gorgeous Foil Art Heart Mobiles, the perfect little Valentines Decoration. 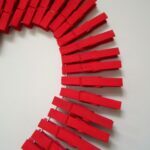 A super fun arty project that the kids will love. Mine love exploring “new ways” of doing things and haven’t worked with foil before. They will love having a go at these! 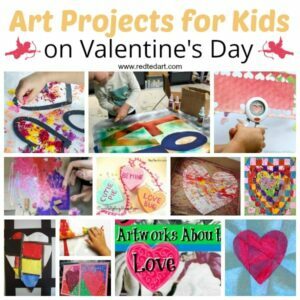 A great addition to our Valentines Day Crafts for Kids! 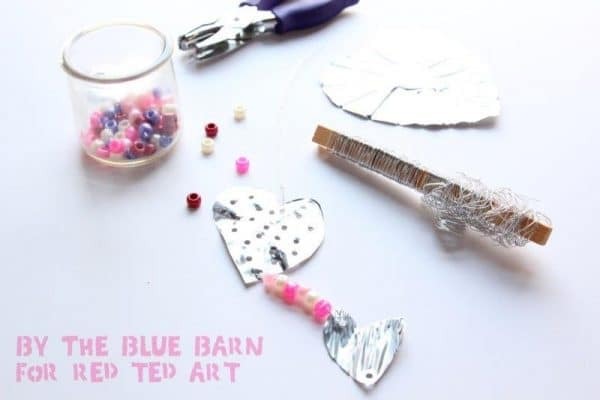 Hi there, Joanna Walker here from The Blue Barn and I am super happy to be participating in this years 31 days of love organized by Maggy here at Red Ted Art. If you’ve not met me before I’m a mom of four who also teaches preschool art and opens up my barn every summer for lots of messy fun. I enjoy sharing this fun over on Instagram where you can find me getting creative and sharing all our creative endeavors. This project has been playing in my mind for a while, I actually imagined these foil shapes first as christmas ornaments but time got away from me and I then I almost forgot completely until Maggy asked me to join in for Valentines and I decided these would be these foil creations would be an absolutely perfect Valentines project. Ok first I should say don’t get put off by all the bits and pieces in this photo I actually put out a few alternatives depending what you can find. 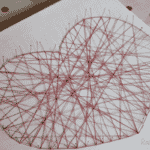 To make these hearts its a pretty simple process. Embossing tools. We used clay tools, pencils and even a pen to create the patterns. 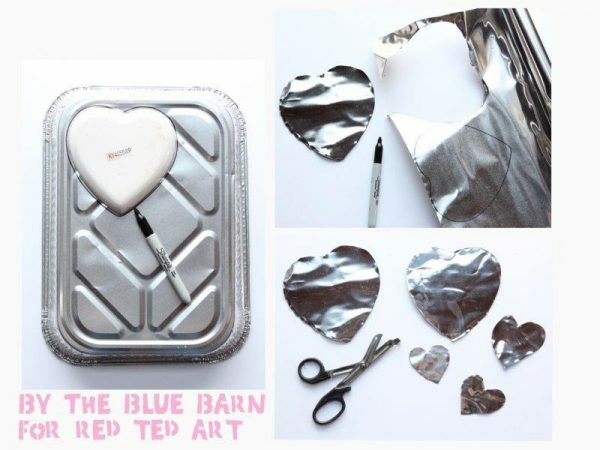 Draw freehand or trace hearts onto the metal tin/sheets and cut out the hearts. 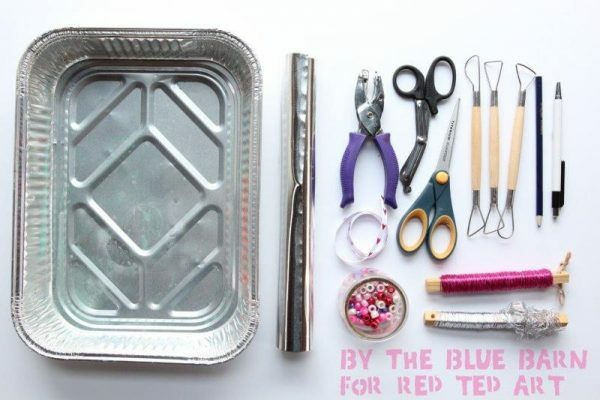 Young children may need help with this part because the edges of the tin can become very sharp as you cut so be careful, ask a grown up or wear gloves. 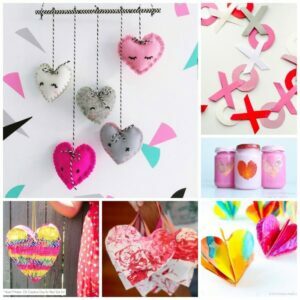 Once you have cut out your hearts you can decorate them using the various tools. 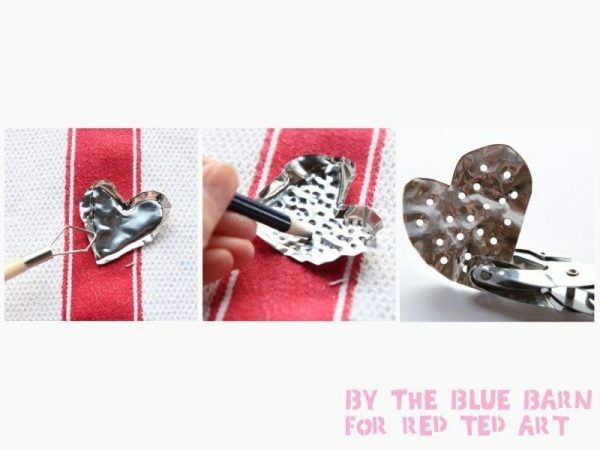 Lay the individual hearts on top of a folded kitchen tea towel this will create a soft surface so that your metal will bend easily as you begin to decorate it. It also projects your work surface as you press down hard onto the metal. 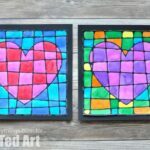 The photos below show a few of the different ways we decorated our hearts. You can draw lines on them or press objects into them to create various different patterns, this one is fun to experiment with. 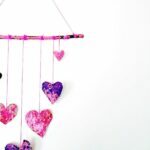 You can also use the hole punch to pattern your hearts – you’ll need it later too for threading them together. 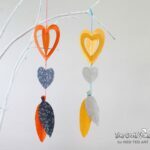 Below are a few different shots of our finished mobiles hanging, aren’t they pretty? 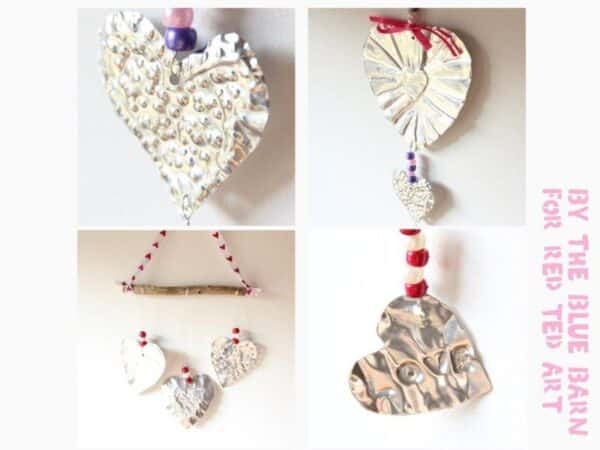 We hope you liked our finished pieces, don’t be scared about working on metal it really is a very fun way for children to create and all looked beautiful hanging and catching the morning sunshine streaming in our windows. 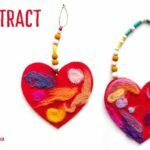 If you’d like to see a few other of Valentines ideas from us head over to our blog and check out our Newspaper LOVE wall hangings or our totally awesome Love Bug Play Doh Invitation. Thanks for taking the time to read this, if you try the project please let me know tag us on a picture I’d love to see how your hearts turn out!